A hazy yellow-colored ale with high carbonation, herbal and spicy aromas and tastes, and perceptible, somewhat quinine-like bitterness. 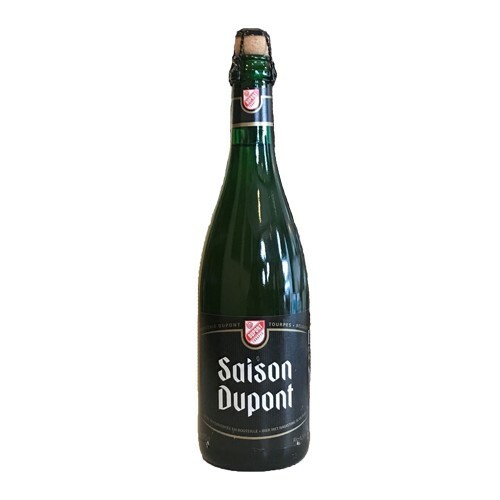 Brewed in the Saison style from Kent Goldings, Styrian Goldings hops and Pilsner malt.Originally titled "Saison Vielle Provision", the beer was also dry-hopped until the brewery stopped this practice in favor of a larger late hop addition in the boil. It is bottled unfiltered so it may be cloudy or have a slight sediment but this is normal and perfectly natural. The 750ml is finished with a champagne-style cork and wire cage.